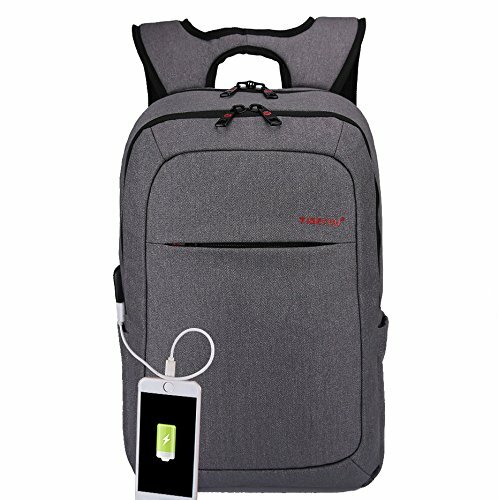 Losing an expensive item can be an unexpected set back when on a business trip or hiking adventure. 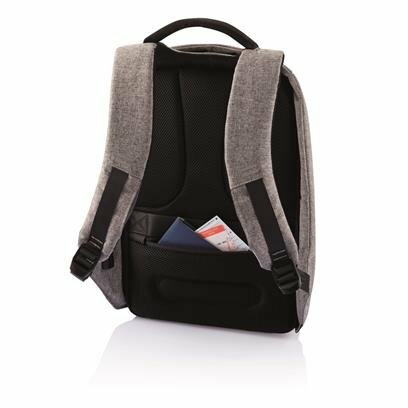 To travel in confidence you need an anti-theft backpack with built-in security features to protect your most prized possessions. 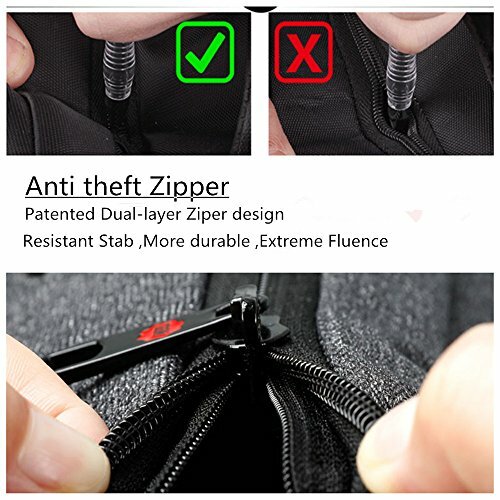 These features may include carefully hidden locking zippers, slash proof material, water-proof material, in-built steel cables and elastic straps that can be secured to a suitcase for convenient traveling. 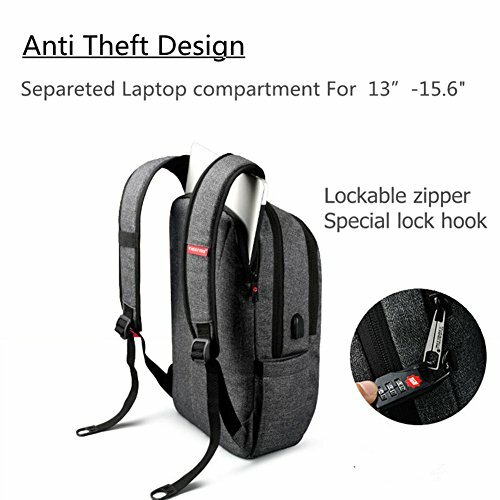 Bobby anti-theft backpack measures 17 x 6 x 13 inches. 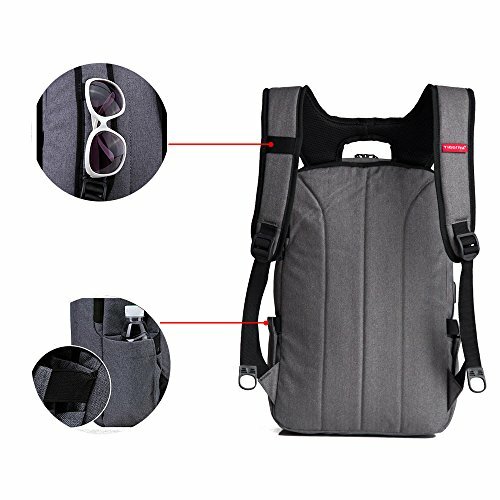 It is made from high-quality 300D/600D water repellent polyester fabric. 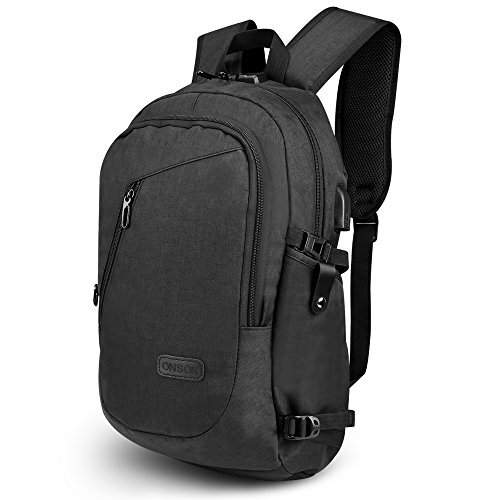 It has padded compartments on the inside that can comfortably accommodate a 15.6-inch laptop. 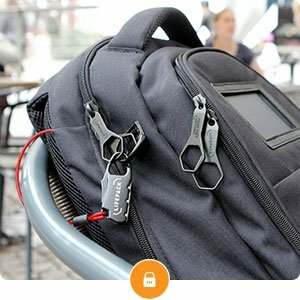 The backpack comes with well hidden YKK zippers and a USB port. 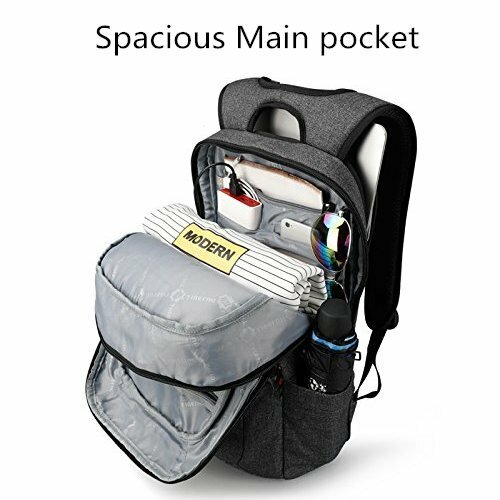 It is small enough to be used as a carry on and it has elastic straps that can be attached to a suitcase for convenient traveling. 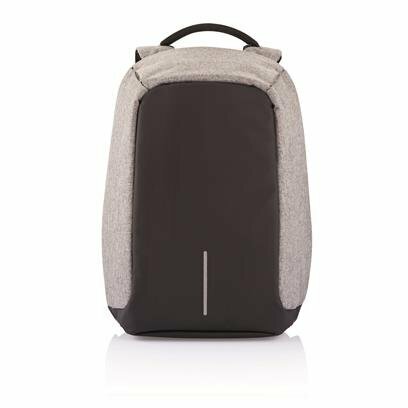 This backpack is made of a combination of anti-sweat and air permeability fabrics with a 20 mm spongy layer for collision prevention. 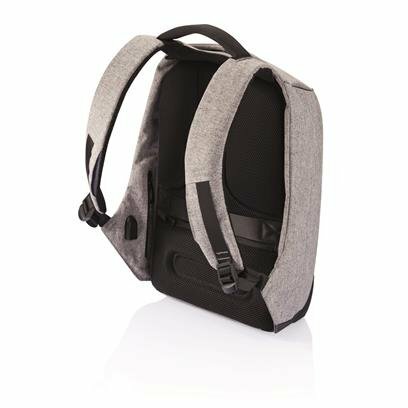 The backpack comes with a 6mm Shock-proof foam and cut-proof protection board making the front and back sides of the bag cut-proof. 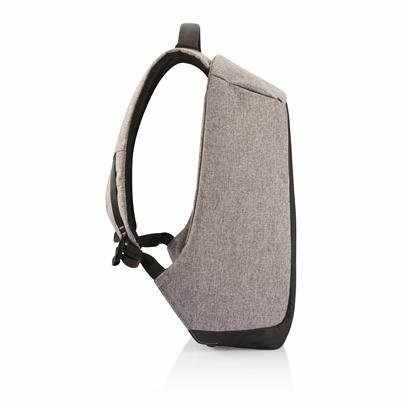 It has illuminating safety bars on the back and sides that can be seen from 100 meters away to ensure you travel safely at night. 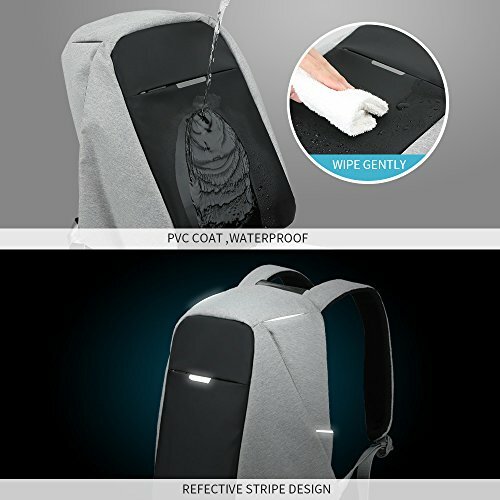 Oscaurt anti-theft backpack measures 11.02 x 4.92 x 16.93 inches and is made from water repellant fabric. 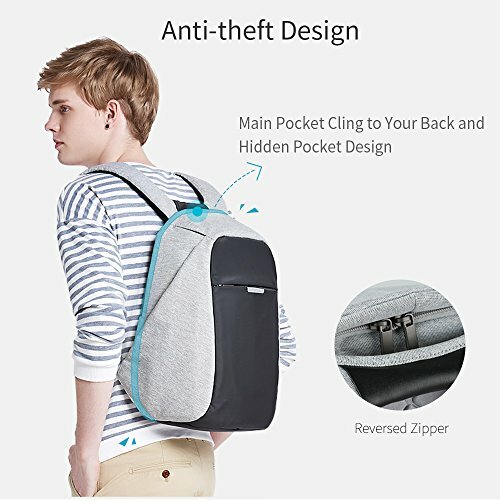 The zipper of the backpack is completely hidden in the fabric so no one can easily open your bag. 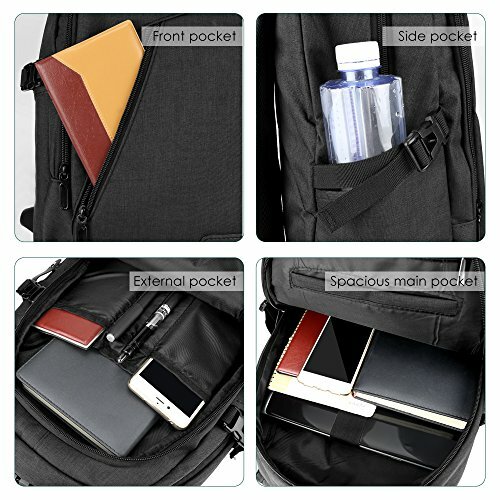 The backpack is ideal for traveling, school or work. 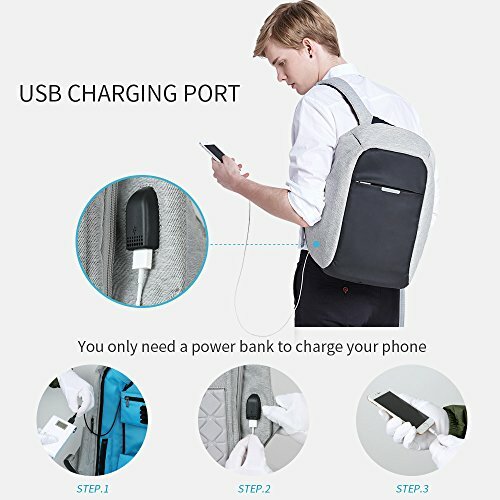 This is a laptop bag which comes with a USB charge port to charge your device from anywhere. 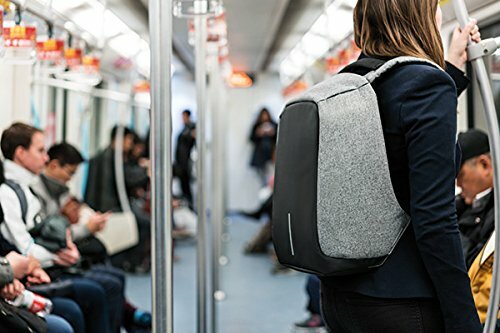 The backpack has one secret pocket on the back and an adjustable main compartment with multiple pockets for pens, phone, a wallet, a 14-inch laptop or a 6-inch laptop. 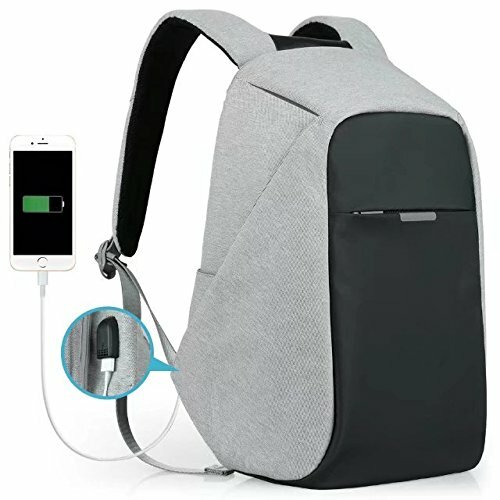 This backpack has a reflective stripe on its front to make it conspicuous at night. 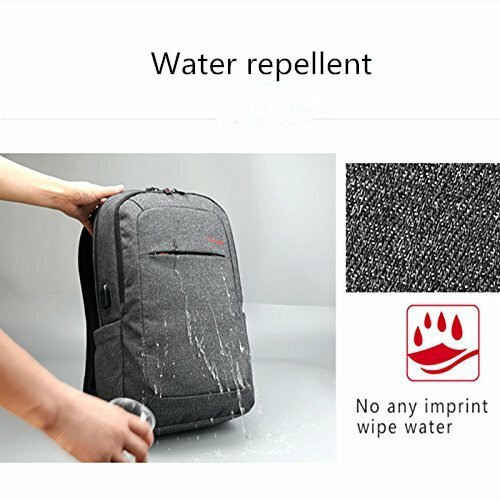 It comes with a one year warranty and thirty days unconditional refund. 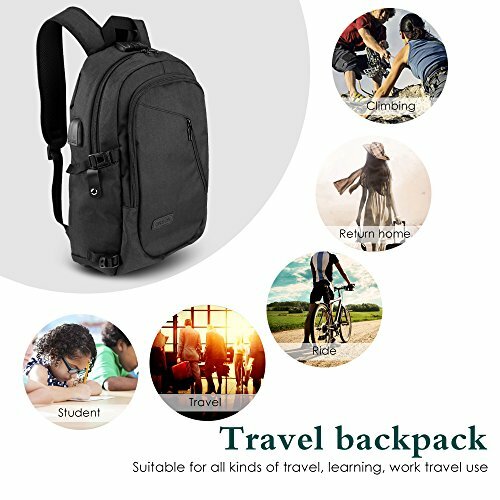 This backpack is made from anti-scratch, high quality durable oxford material which is water-proof. 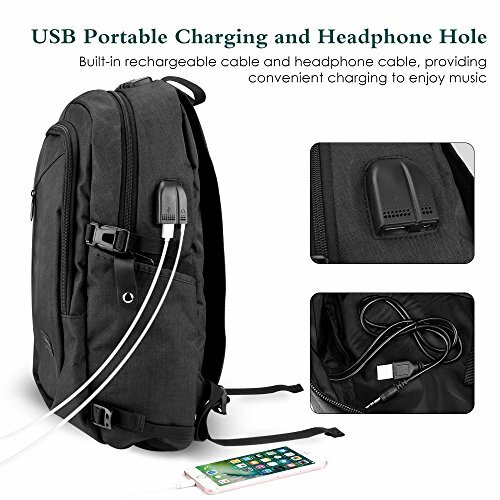 It has an external USB charging port with inbuilt cables to allow you to charge your devices while traveling. 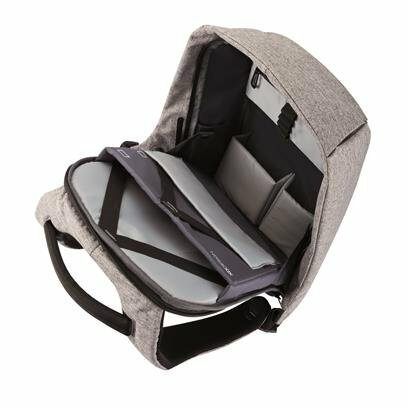 The main compartment has padded sleeves and an assortment of several functional pockets for added storage. 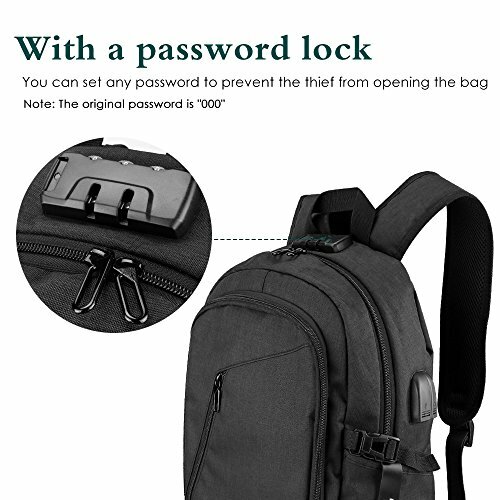 The backpack includes a theft-proof combination lock and long lasting metal zippers. 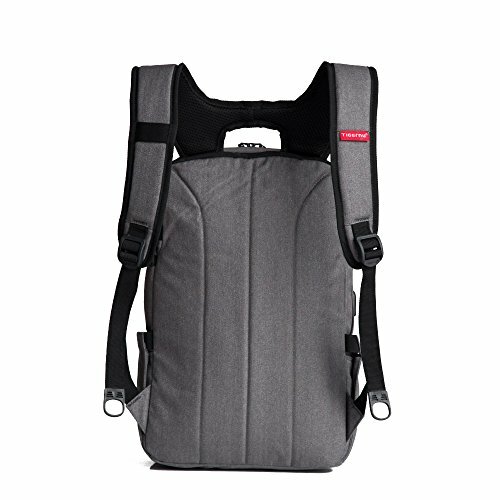 It has a reinforced bottom and the shoulder straps are padded for easy and convenient transportation. 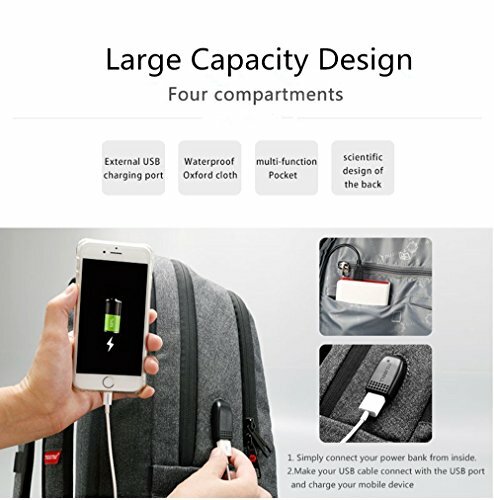 This backpack includes a one year warranty. 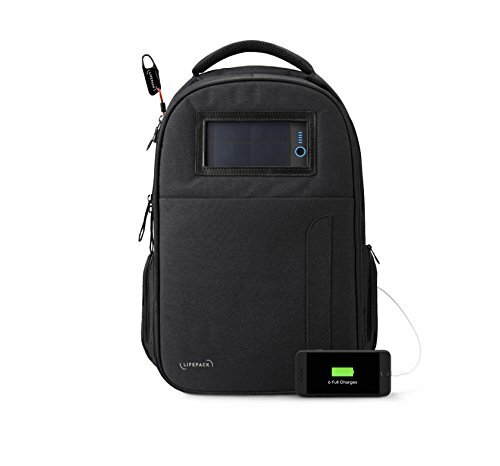 This backpack includes a 3-in-1 solar bank that features a high-quality 4G solar technology. 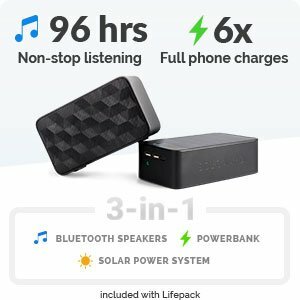 It comes with a portable solar charging system that stores 6 smart-phone charges and can generate an extra charge every 4 hours of sun. 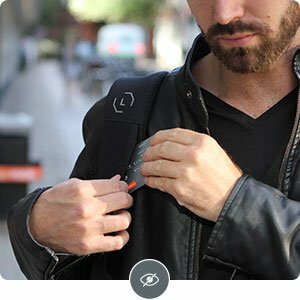 The backpack has four hidden pockets that can be used to store a passport, credit card, and other valuables. 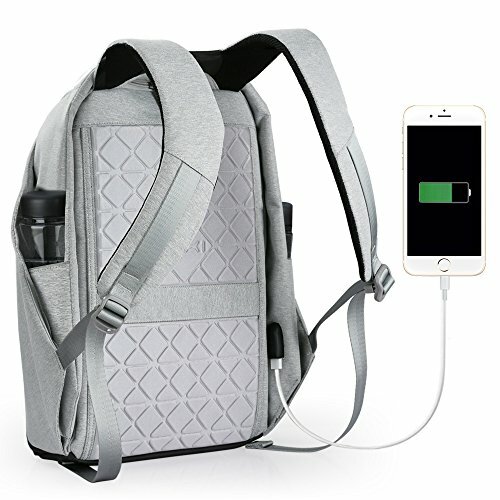 The backpack has high quality, clear and loud in-built blue-tooth speakers that have a battery life of 96-hours and an inbuilt USB charging port. 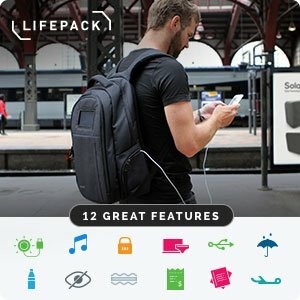 There is an integrated retractable 3 number combination cable lock that locks all compartments of the backpack together. 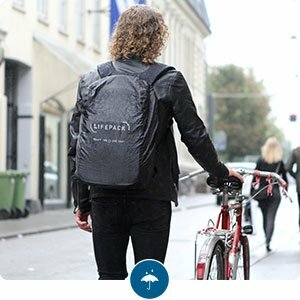 The backpack includes a built-in rain cover packed in the base of the bag to protect it against damage by rain. 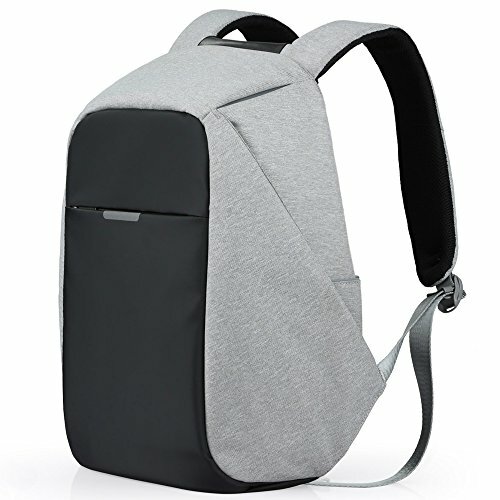 This is a compact and slim designed Mac book backpack with interior compartment dimensions of 14.6 x 9.6 x 1.4 inches. 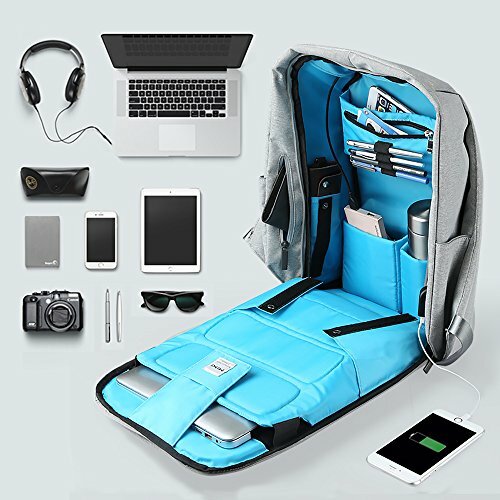 It has 12 compartments with a separate smart-scan laptop compartment that can be opened at 90-180 degrees to enable you to take out your laptop while keeping other items private. 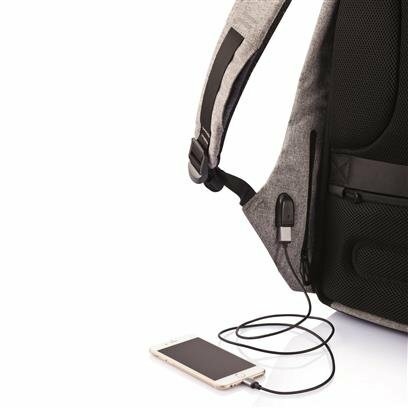 The backpack has a dual-layer enhanced zipper and an external USB charging port with in-built charging cables. 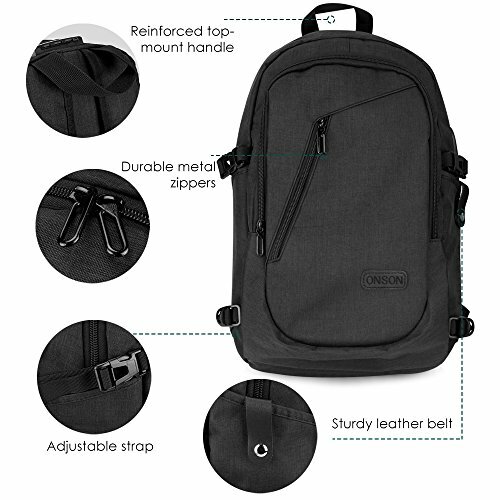 The backpack features ergonomic S-shaped padded shoulder straps and a padded back for added comfort when hiking or traveling. 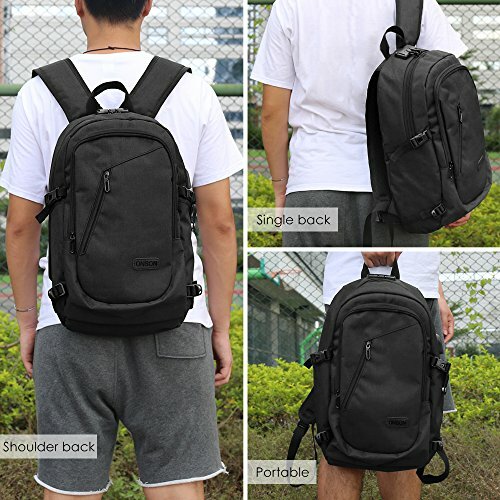 It is made with water repellent, anti-scratch travel rucksack, nylon material which is durable and tear-resistant. 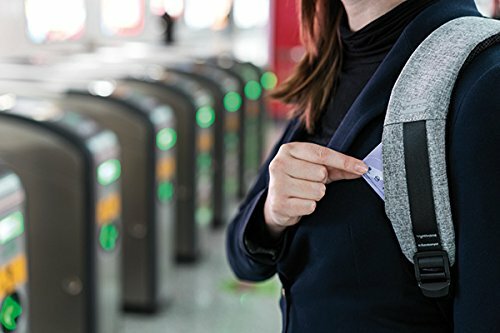 There are waist slots for keeping important possessions like passports and credit cards that require quick retrieval. 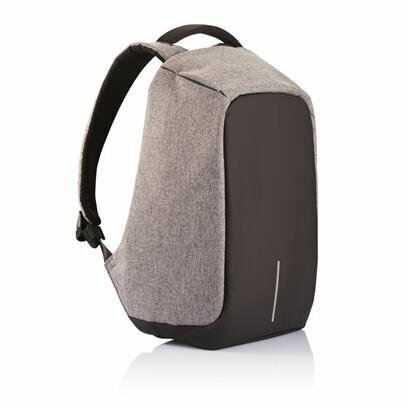 Size: slim laptop backpack fits up to 15.6" laptop. 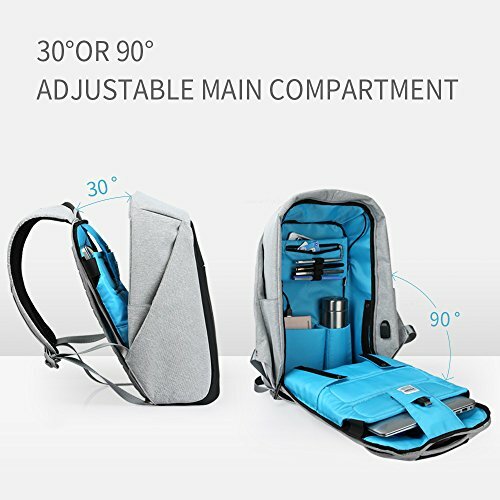 Exterior dimensions (L*W*H): 11.8"x 7.1"x 17.7", laptop compartment dimension: 14.6"x 9.6"x1.4". 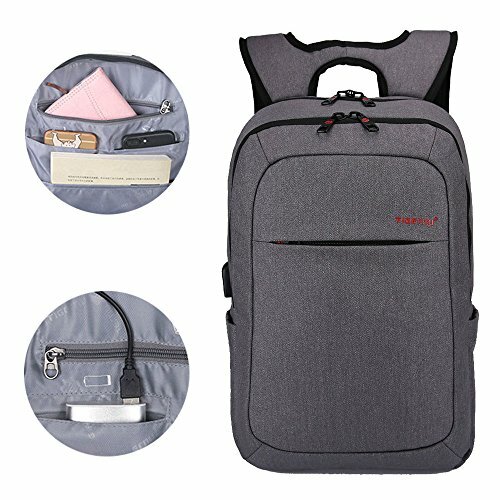 Macbook Backpack with Multi-Compartment design: one large packing compartment, separate laptop compartment, tablet holder, and front pocket organizer for business college school daily use.